New Delhi: With the Medical Council of India announcing that each and every doctor will have their Unique Permanent Registration Number (UPRN), the council is now preparing with the herculean task of providing a unique ID to doctor online, based on the verification of their aadhar and other documents. In the world of digitisation, the move would digitise India’s registry of doctors and is being undertaken as part of its ongoing e-governance initiative. 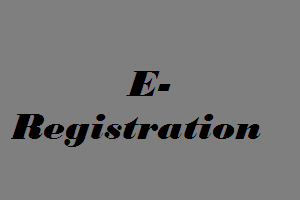 Register by visiting www.mciindia.org and click on “Doctor Login.” Enter basic information like Name and Contact details including email address. A User Id and password will be sent to the email address. Doctors need to use this Id and password to login and enter all requested details including personal details, contact details, aadhar number, professional details and upload the latest qualification documents. Pay the fees to MCI online/offline and select the date and time when the doctor will visit the State Medical Council for verification of documents. Once the documents are physically verified at the State Medical Council (SMC), then the respective SMC will process the record in the system. The system will perform the following tasks automatically. Email notification will go to Doctor, MCI and SMC. It is reported that the website of the council has been recently revamped, and currently the doctors login feature states ” This module is under Testing and will be available for usage shortly”. Medical Dialogues team will provide regular updates on the issue. Can a researcher (PhD student) working on clinical field have this number? It may be a better idea for statistics but as it is evident for ADHAR number verification it will be difficult.Till date people are facing lot of problem to annex their AADHAAR no. in bank accounts and other documents .How doctors from 500 /600 kms distance will come for document verification in state medical council & how they will be sure of ADHAR attachment? How many days they will wait?Will be the photocopy will be sufficient? MCI should verify the feasibility referring to different banks before proceeding further.It has become a practical problem when the infrastructure of ADHAR enrollment has not come up to satisfaction. Better send photocopy of all documents including ADHAR for UPRN to MCI . For the document varification process the sytem will provide TIME SLOT which will be different for every doctor who will be visiting smc. Doctors can choose time and date as per their convenience for the document varification process. MCI itself is being at the verge of getting dissolved and NMC is being given birth!! Then what is the need of getting this unique number?! Is MCI making this last minute attempt to collect some more money and enjoy before getting dissolved?! What will be the validity of the number once NMC comes to existence?! Generation of UPRN is also a part DMMP of Indian govt. So I think even in case if MCI dissolved, this project will be continue and UPRN will be valid even during NMC.